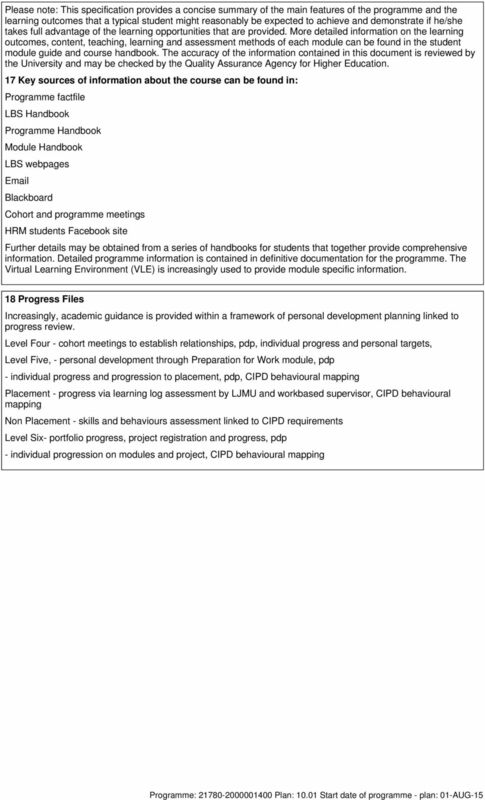 Download "PROGRAMME DETAIL SPECIFICATION. 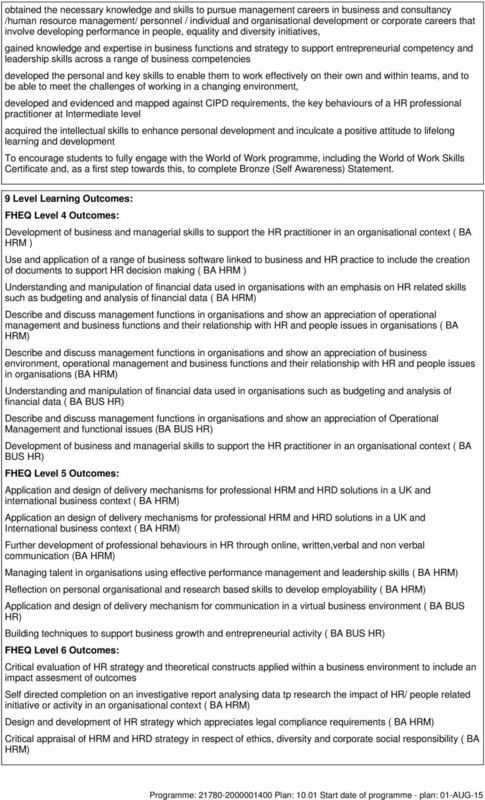 Programme Summary"
8 programme variance which will be considered against agreed criteria that the variance is a nationally published condition of an accrediting / professional body, without which the programme could not be accredited. 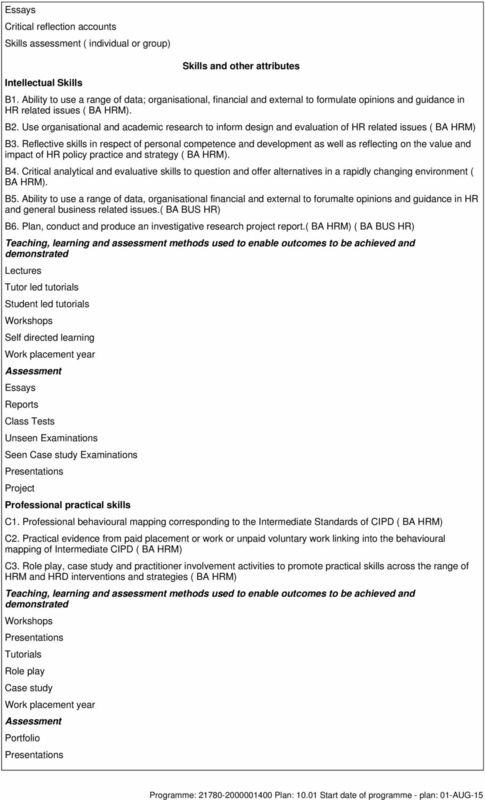 14 Indicators of quality: PSB reports and outcomes Subject to quality review procedures of CIPD Institutional audit outcomes The University is subject to Institutional Review by the Quality Assurance Agency on a 6 year cycle. A published review report is then available on the QAA web site: 15 Support for students and their learning Induction programme at each level of study Cohort meetings at level four Personal tutor sessions at all levels Programme meetings Meetings with student representatives Programme Handbook Module Handbook for each module studied Extensive library support and IT support provided in the Aldham Robarts Centre and the IT Suite, in the John Foster Building support though e-surgeries,on line discussion, research and good practice dissemination Blackboard support E- enabled access to CIPD networks and press releases Academic tutor support, year/personal tutor support Access to University support services Student representation on the Programme Board of Study 16 Methods for evaluating and improving the quality and standards of teaching and learning The Role of the External Examiner External examiners approved by the University are appointed to cover whole programmes or clusters of modules within programmes. 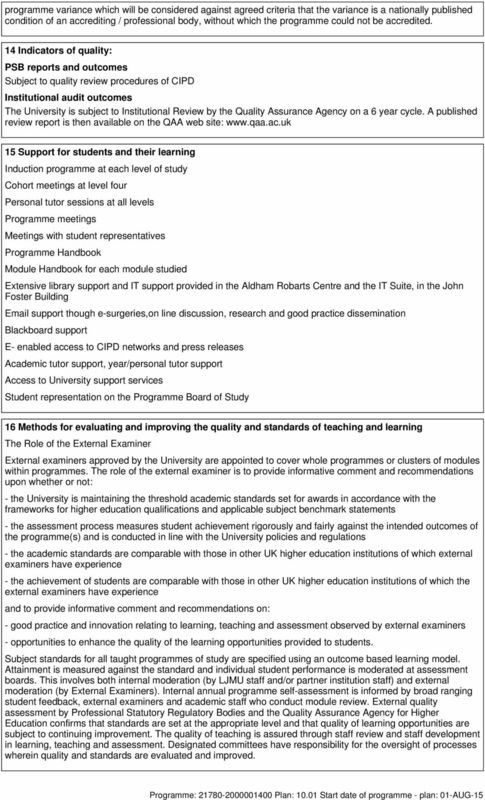 The role of the external examiner is to provide informative comment and recommendations upon whether or not: - the University is maintaining the threshold academic standards set for awards in accordance with the frameworks for higher education qualifications and applicable subject benchmark statements - the assessment process measures student achievement rigorously and fairly against the intended outcomes of the programme(s) and is conducted in line with the University policies and regulations - the academic standards are comparable with those in other UK higher education institutions of which external examiners have experience - the achievement of students are comparable with those in other UK higher education institutions of which the external examiners have experience and to provide informative comment and recommendations on: - good practice and innovation relating to learning, teaching and assessment observed by external examiners - opportunities to enhance the quality of the learning opportunities provided to students. 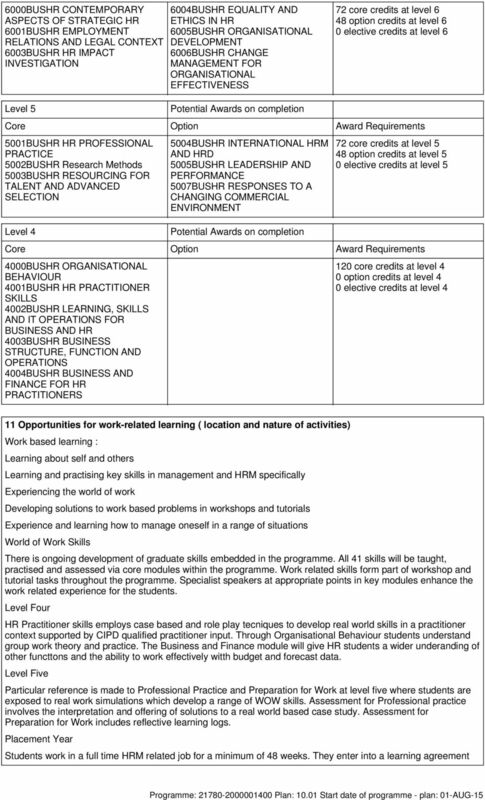 Subject standards for all taught programmes of study are specified using an outcome based learning model. 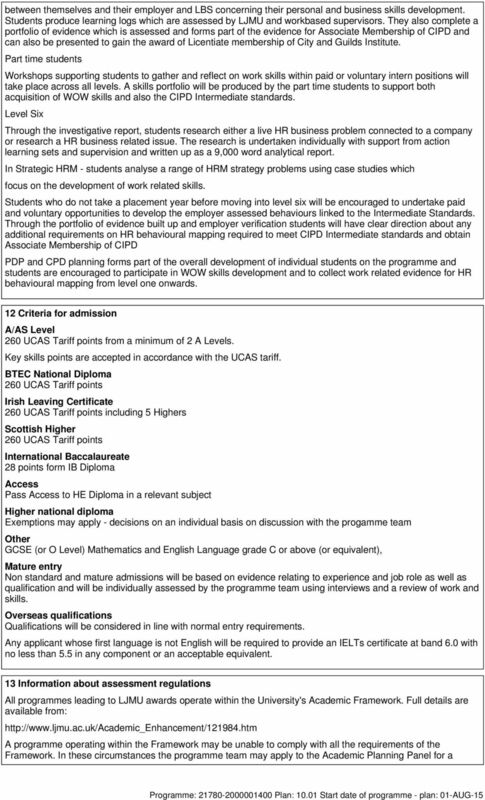 Attainment is measured against the standard and individual student performance is moderated at assessment boards. 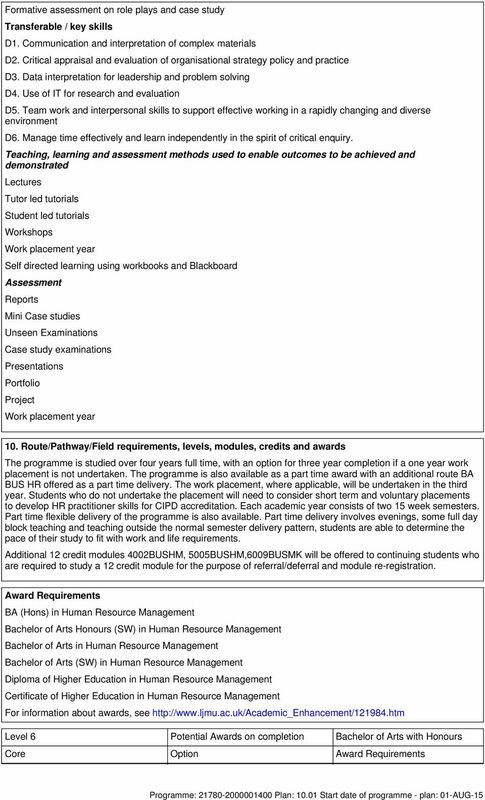 This involves both internal moderation (by LJMU staff and/or partner institution staff) and external moderation (by External Examiners). 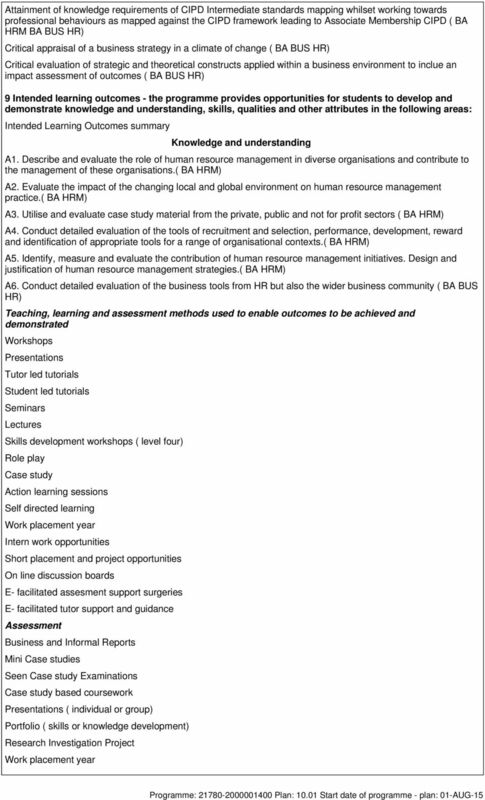 Internal annual programme self-assessment is informed by broad ranging student feedback, external examiners and academic staff who conduct module review. 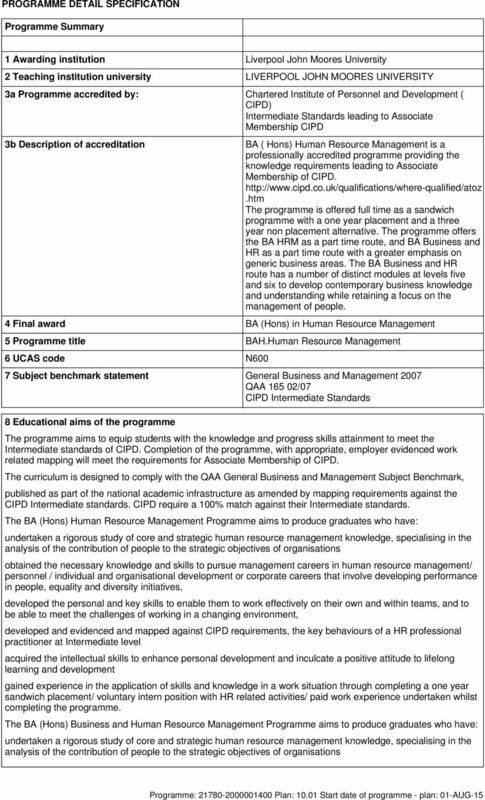 External quality assessment by Professional Statutory Regulatory Bodies and the Quality Assurance Agency for Higher Education confirms that standards are set at the appropriate level and that quality of learning opportunities are subject to continuing improvement. The quality of teaching is assured through staff review and staff development in learning, teaching and assessment. Designated committees have responsibility for the oversight of processes wherein quality and standards are evaluated and improved.